Hi, I recently received a watch from my mother that was my grandfather's, it looks very similar to this one but is a 10k gold filled. Would this be the Darrell you mentioned at the top of this post? I'm just curious as I looked at the Dexter and it doesn't seem to match that one completely either. Also would you know what type of band would be the original on it? The band on this watch says Hadley. It is very unique and cool and information you could share would be greatly appreciated. What is the process to polishing the gold filled case? I have a 1948 model and have had the movement gone through but I would like to polish the case and replace the crystal. Also, where is a crystal ordered? You can find crystals on eBay, and if you don't see the one you're looking for then contact the typical sellers you see on eBay. As for polishing the case, simichrome polish and a soft cloth is about all you need. 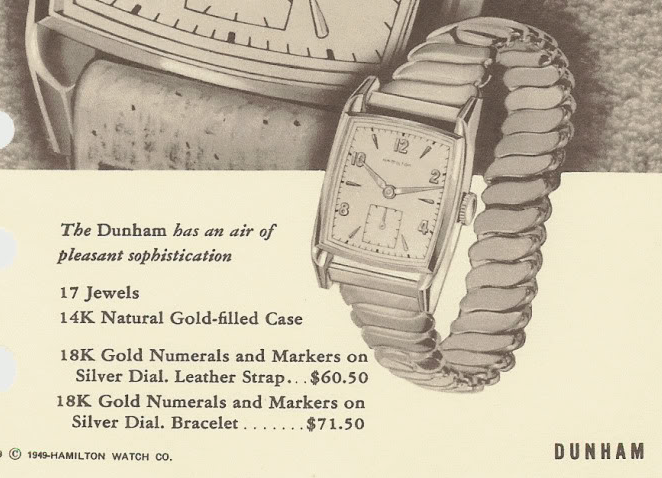 Why was the dial originally two tone but after cleaning it was one tone ??? The dial isn’t a two-tone design.